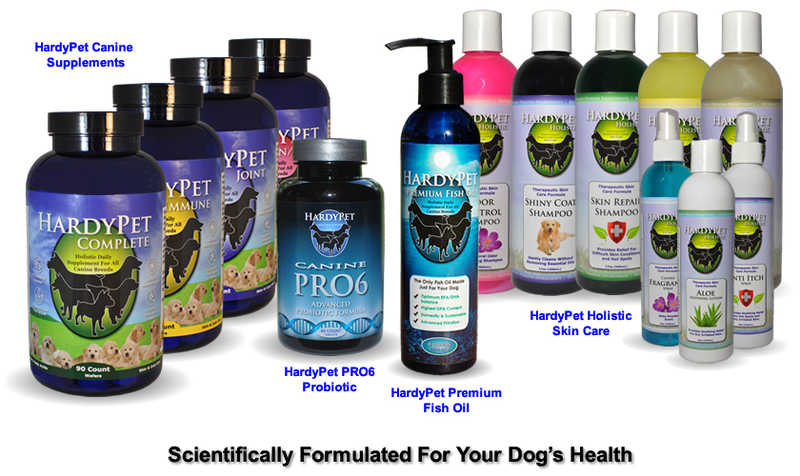 The HardyPet family of products was created to fill the need for an all-natural, holistic approach to canine health. Each HardyPet product is designed, manufactured, and packaged with your dog's health in mind. Through years of research, a completely holistic solution has been created to help tackle some of the most challenging canine conditions. So many dogs suffer needlessly in silence with allergy issues, immune problems and other conditions and HardyPet was created to give them relief.